Learn from my mistakes, folks. Don’t try to paint sitting in awkward positions on the garage floor two days in a row. You’ll be hobbling at work for no good reason and your coworkers will laugh at you. If you are painting on said garage floor and think you’re good because you put down cardboard to keep the dirt and dog hair off the pieces, HAHAHAHAHAHAHA. When you flip pieces over to paint the other sides, they WILL get scratched from random invisible pebbles. I tried to be wiser today, by using tables to elevate the pieces so I wasn’t dying. That actually worked pretty well, until, you know, I ran out of tables to put things on. (Yes, that is the officially sanctioned paint-stirring spoon in the bottom of that picture. It cracked at some point and was designated as such when we did the great living room painting of 20…2010?? Anyways, I guess I’ll have to let these pieces dry and then go back and do some more later. This project is taking MUCH, MUCH longer than I had anticipated. Alas, we had to return home from Thanksgivukkah last night (Friday), as Mike is on call starting this morning. (OK, he was technically on call on Thursday and Friday, but his kind co-worker swapped some days with him). On the plus side, though, we basically had a “weekend” up in OC with my parents and another “weekend” to ourselves. And I was hit by a bolt of inspiration. I was surprised that it was just like, a white stain. I mean, I saw this AT Ikea obviously. 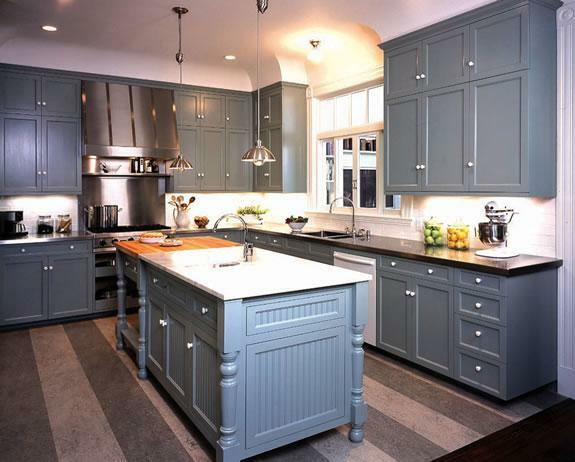 But it was very different from the white dresser we had upstairs that has like a laquered finish. 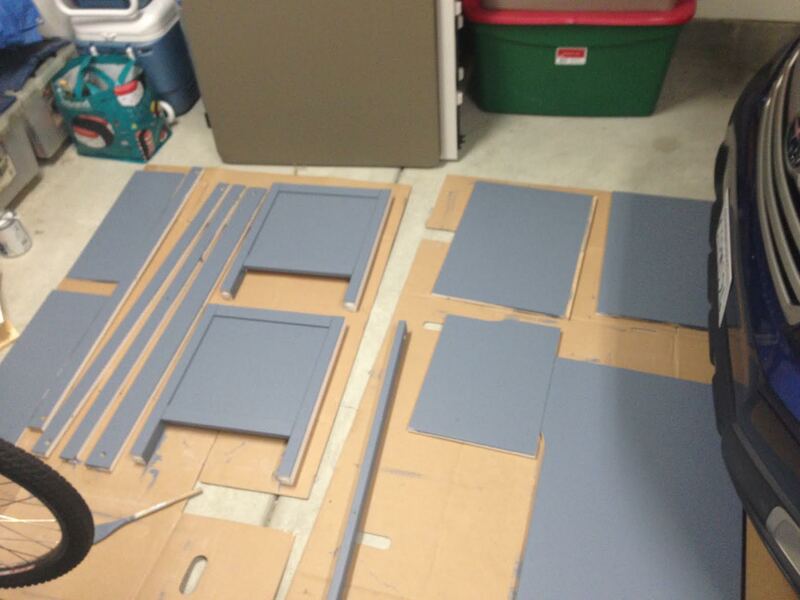 I had a vision of repainting the white tv stand blue slate, assuming it was not lacquered (spoiler: it was not). And getting the bookshelf/hutch and painting the back of the shelves the same blue. YEAH! Once, I actually got to Ikea, consumed meatballs, and chased my friend’s 5 y.o. around with a stuffed panda, I realized the longer TV stand was too big for the room with the bookshelf. I opted for the smaller, cheaper version. (Less painful if this painting thing turns out to be a bust, too!). The bookshelf I forwent for now. I couldn’t justify its price tag. The holidays are coming! But I have visions of putting all the table cloths and napkins and “good” plates in it and getting rid of the small bookshelf that narrows the hallway into our bedroom. We’ll see. 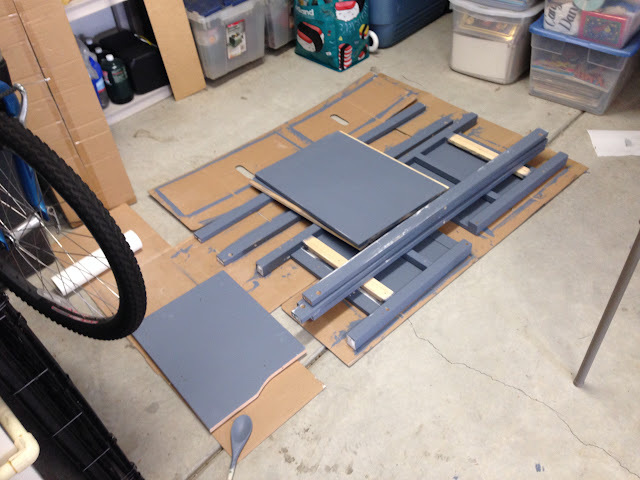 ….one coat of paint on one side. TO BE FAIR, I had to sand everything first. But I enjoyed myself immensely, just sitting on the floor of the garage, in quiet, painting away.